Amazing Style and Quality abound in this 3 bedroom, 3 bath with office and bonus room in Durbin Crossing! 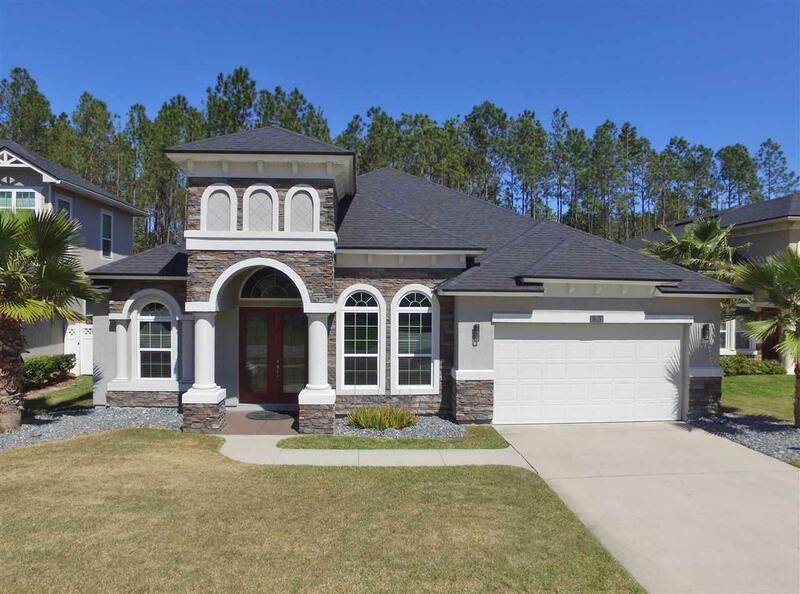 This is the Valencia I floor plan by Dream Finders, a top quality builder. You'll love the double leaded glass doors in the huge foyer and the entire main living area boasts gorgeous 20Ã¢â‚¬Â tile. Enter to a formal living & dining area featuring wainscoting, chair rail, crown molding & highly detailed coffered ceilings. To the left is a separate room, perfect for a home office with French doors. 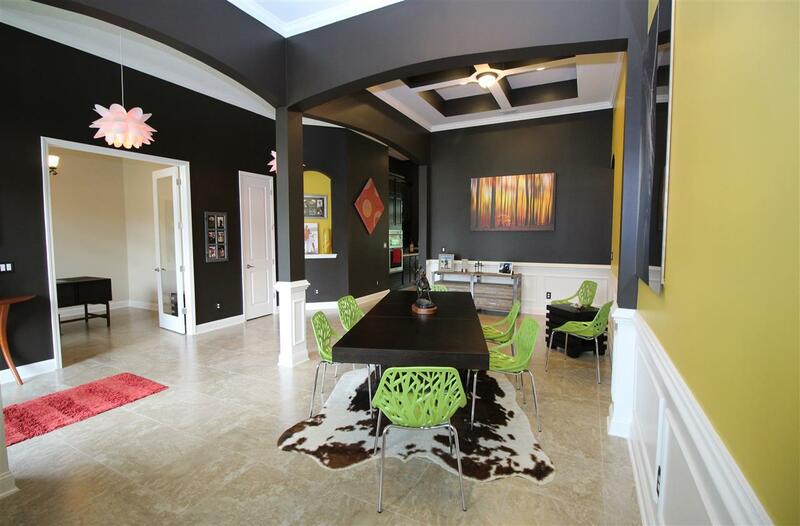 Continue into the kitchen & family room to be delighted by the large open feel & detailed finishes everywhere. The kitchen sports a spacious island with apron sink and beautiful granite counters. The cabinets are high quality with 60Ã¢â‚¬Â uppers & custom backsplash. 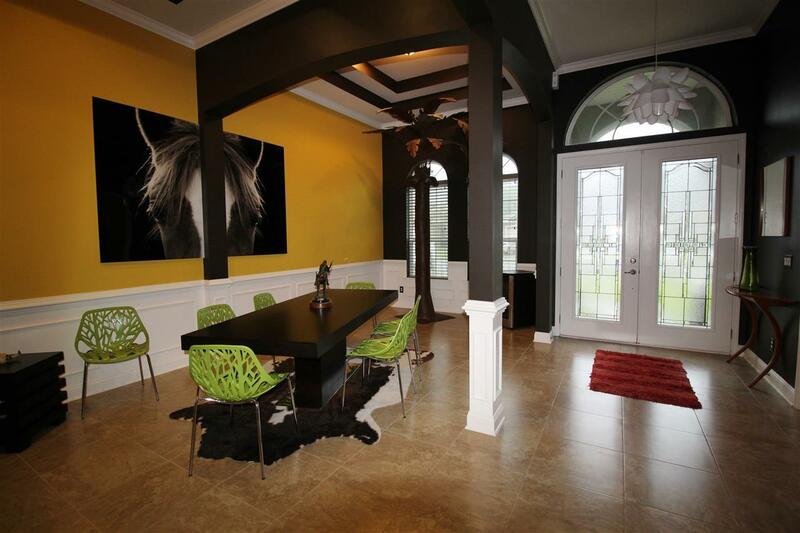 Adjacent to the kitchen is a breakfast nook with work area plus additional cabinets & a Butler area. Entertaining is easy in this wide open family room with electric fireplace, surround sound & custom built-ins. Triple sliders open to the outside covered/tiled lanai & brick paver fire pit area, perfect for entertaining family & friends plus a fenced back yard that overlooks a wooded area. Beyond the family room is a huge bonus room with an adjacent bath (could be pool bath as there is plenty of room for a pool or use as a guest suite). The master bedroom is enormous, including a sitting area & highly detailed ceilings. Two walk in closets lead to a sumptuous master bath with soaking tub, huge tiled shower with two heads & double vanity's. This home offers many upgraded lighting fixtures, custom ceiling fans, niches, Coffered and step ceilings, plantation blinds & a security system just to name a few. Community offers a beautiful amenity center with clubhouse, pool, splash park, playground and basketball and tennis courts.